EQ Investors (EQ), the boutique wealth manager led by John Spiers, is pleased to announce that its popular Positive Impact Portfolios are now available for financial advisers to access via the Transact and Nucleus platforms. 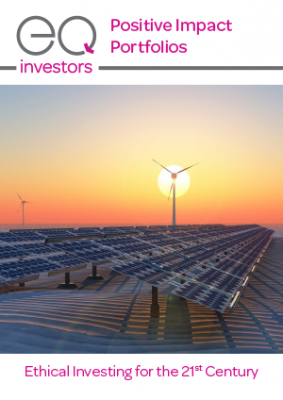 Launched in 2012, the portfolios are designed to meet the growing investor appetite for an investment approach which not only delivers an attractive return but is also committed to making a positive contribution to society and/or the environment. The seven risk adjusted model portfolios available range from ‘Cautious’ for the most risk-adverse to ‘High Octane’ for the most risk-seeking. The models are available for advisers to invest in via the platforms at a competitive annual management fee of 0.35% + VAT. 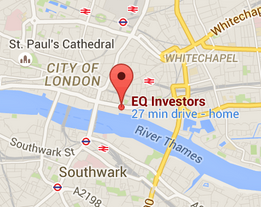 Each of the models make use of EQ’s independent research team which conducts extensive analysis, fund selection and impact due diligence. The portfolios contain typically 20-25 socially responsible funds, covering a range of styles, asset classes and fund management groups. Damien Lardoux, Portfolio Manager at EQ, added: “Our unique Positive Impact Portfolios have been a terrific success since their launch, in line with growing evidence that companies run in a sustainable and responsible manner generate higher returns. The Positive Impact Portfolios are also available via the Novia and Alliance Trust platforms with further announcements due imminently. Available in ISA, SIPP or GIA accounts, the portfolios invest only in FCA authorised and recognised funds offering daily liquidity.